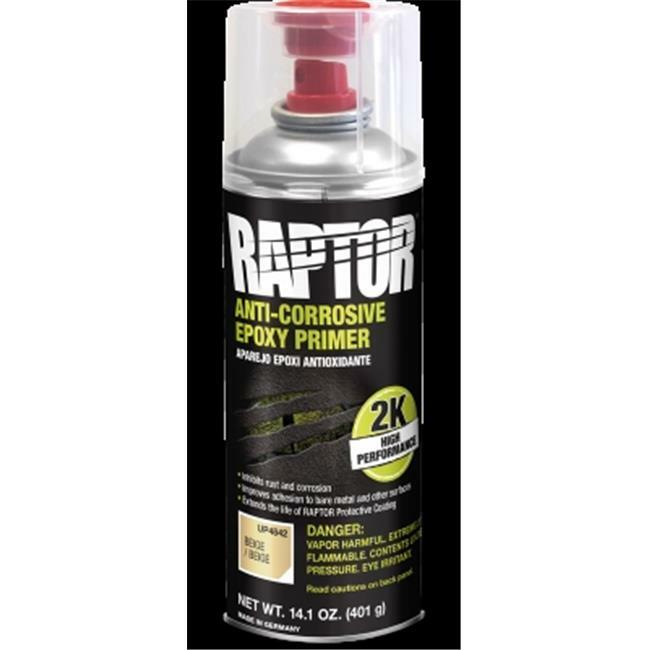 Raptor Anti-Corrosive Epoxy Primer is a 2K high performance primer aerosol specifically designed to be used under Raptor Protective Coating to further extend the protective and anti-corrosive properties of Raptor. The advanced resin technology in Raptor Anti-Corrosive Epoxy Primer improves adhesion to bare metal and most other prepared surfaces. It contains a blend of anti-corrosive additives to inhibit rust and corrosion.